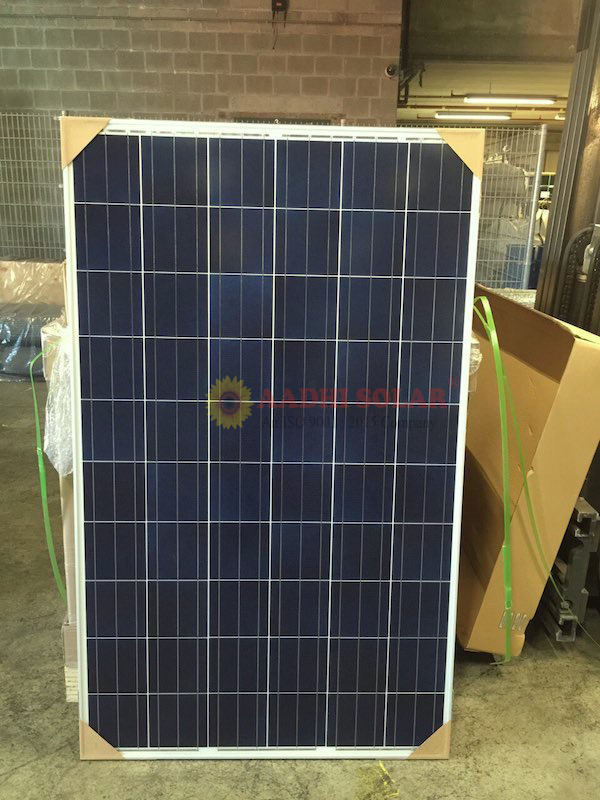 We are an ISO 9001:2008 certified firm engaged in Manufacturing, Exporting and Supplying Solar Power Systems. A grid connected solar system is connected to a large independent grid (typically the public electricity grid) and feeds power. 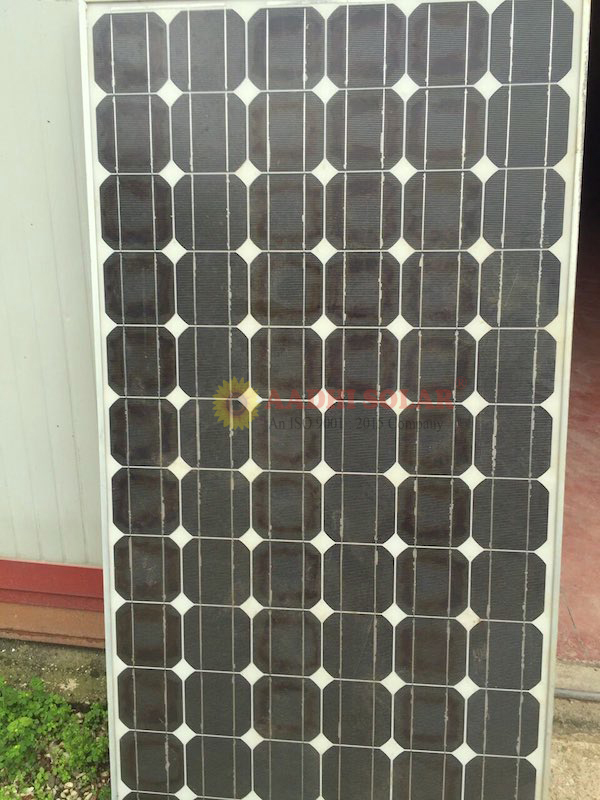 Whenever the sun shines, the solar cells generate electricity. 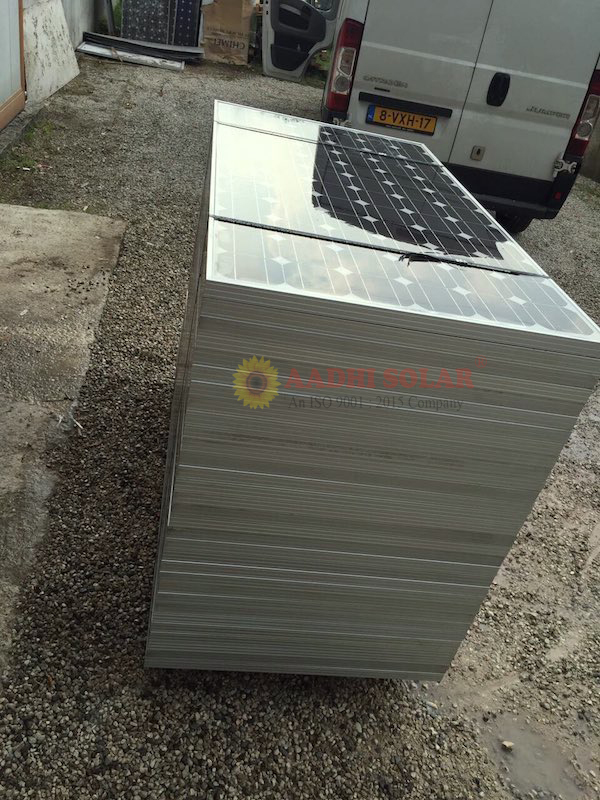 The grid connect Solar inverter converts the DC electricity produced by the solar panels into 415V Three phase AC electricity, which can then Step up by Step up transformer to match the requirement of the Grid available. State Load Dispatch center or will install a meter which will calculate the energy generated and feed into the grid. 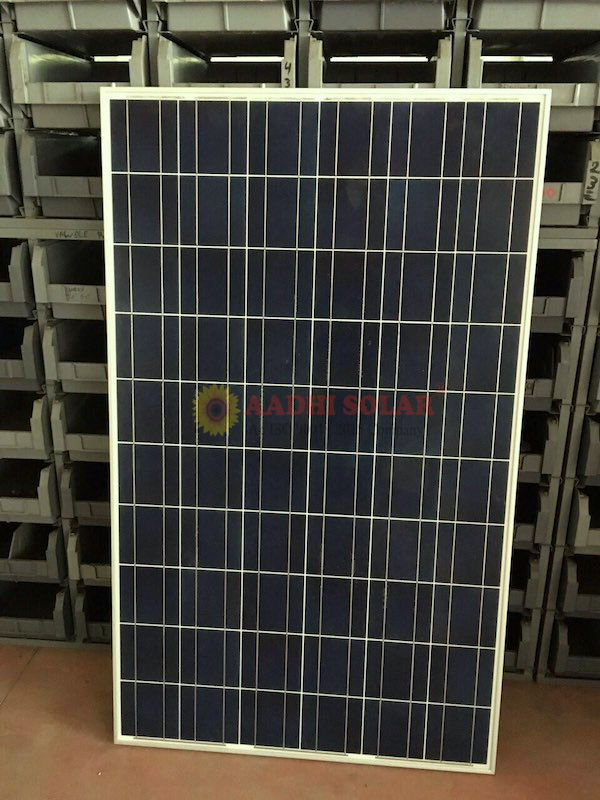 Project Developer will get GBI on Total energy Generated from Solar PV Farms..
Standard System Size : 1M KW peak power output based on insulation of 200W/m2. Basic System Design : Module array with fixed inclination. It provides attractive returns and good feed in tariffs guaranteed by various Governments across the world. 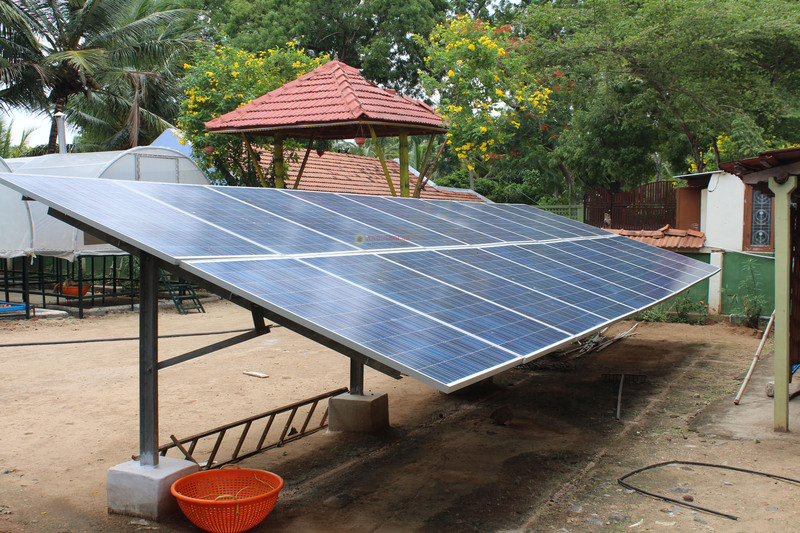 Solar power plants are among the greenest forms of energy generation as they don't produce carbon emission of noise. 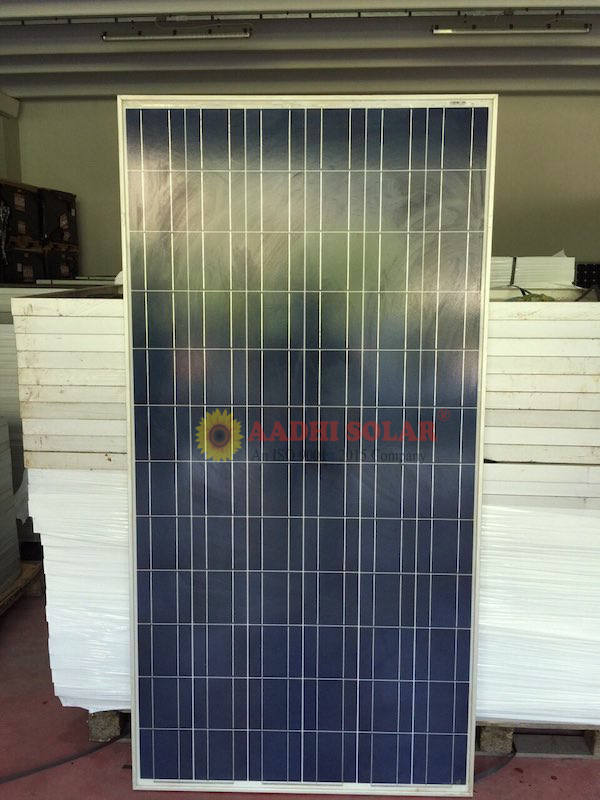 The construction of the photovoltaic systems does not affect the environment. 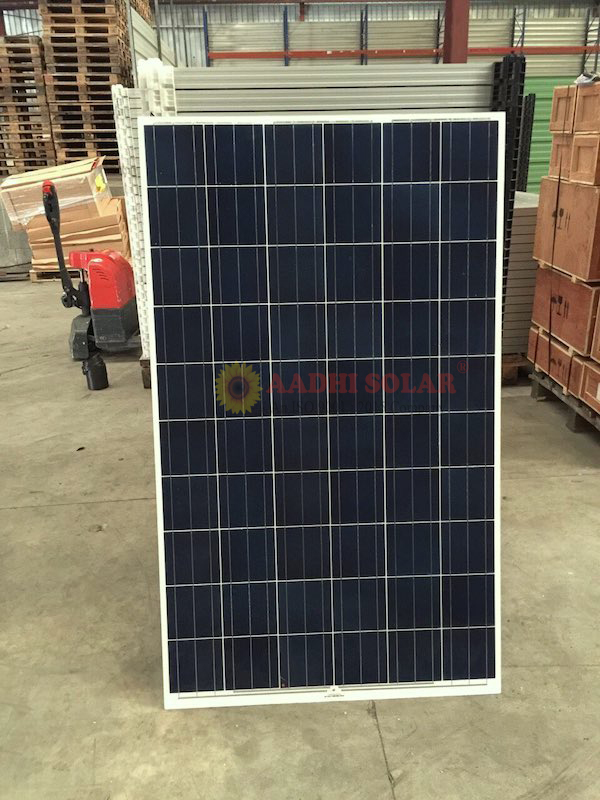 Aadhi is India’s largest inverter manufactures supplying to a wide range of applications. 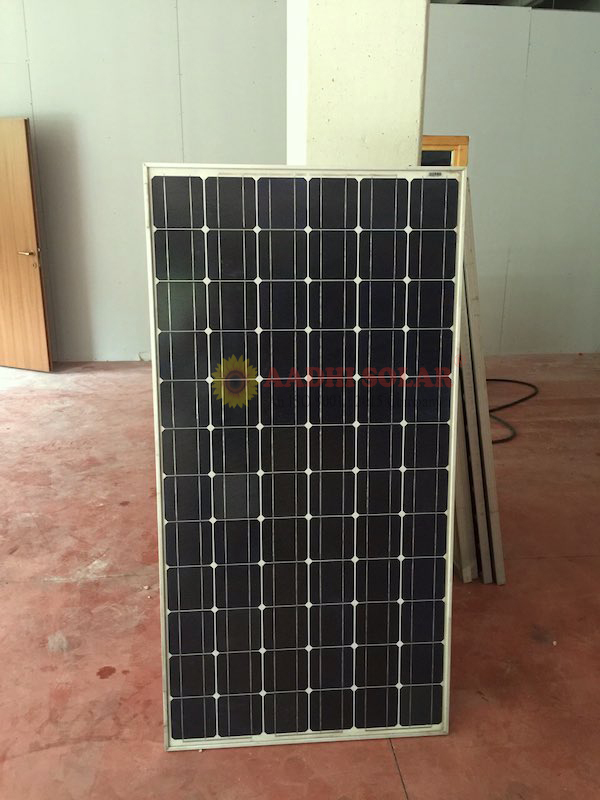 The company produces and sells power solutions including battery, inverters, UPS systems, solar solutions. 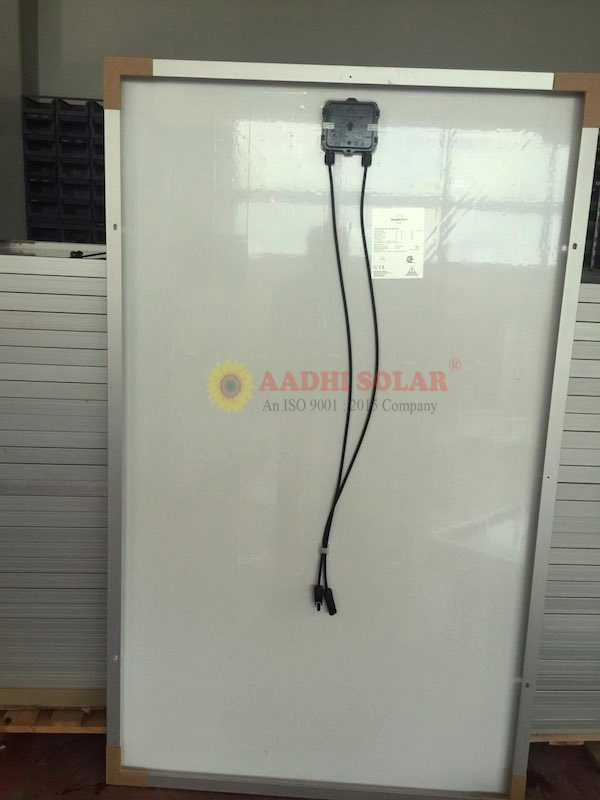 Though teh solar storage market is bound to grow by leaps and bounds, the Indian inverter companies still lack the sophistication of its global peers. 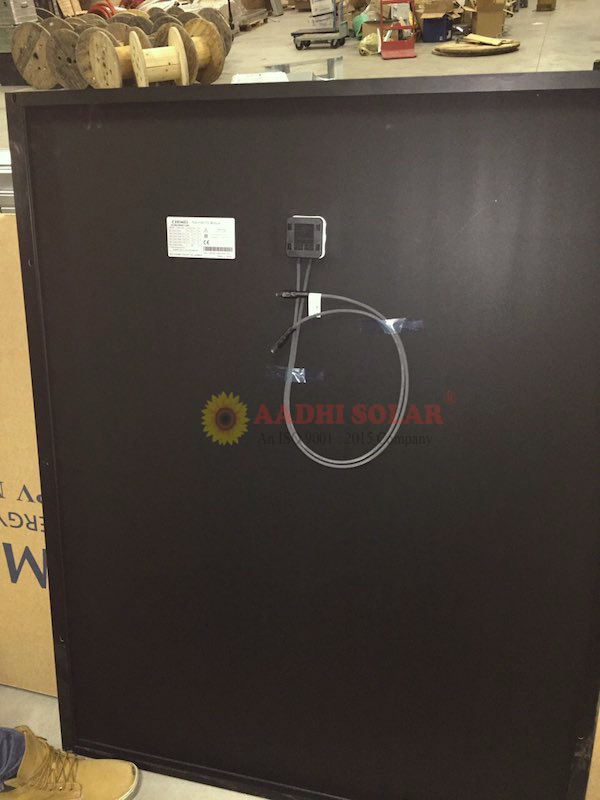 The domestic solar inverter market in India has still a long way to go. Currently the Indian solar market is experiencing a high demand for solar panels due to increased rooftop and solar fam installations. 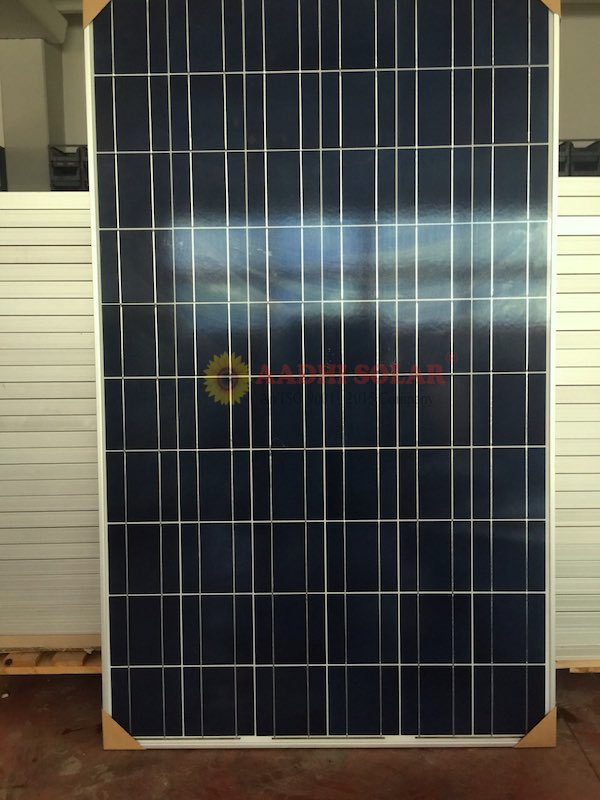 Though the inverter market is there, it is still very small when compared to panel market in India. 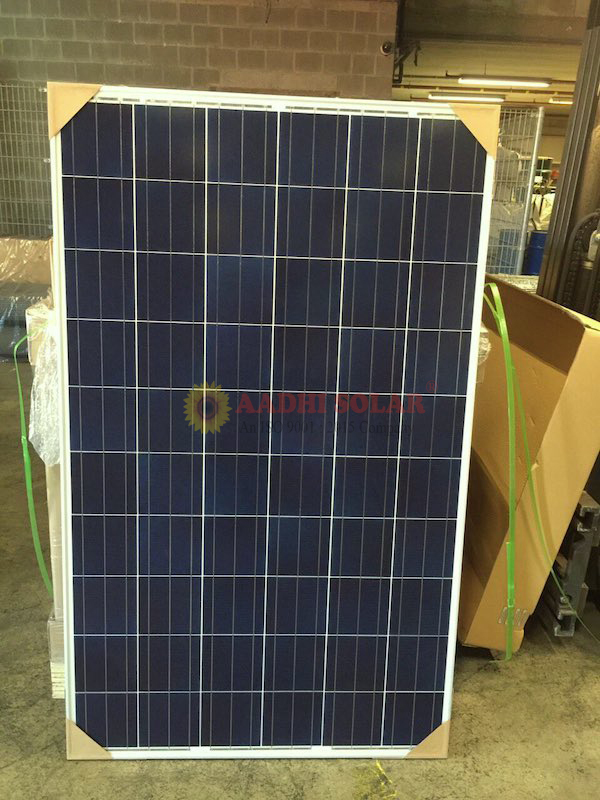 Hence many large players are now also integrating solar modules in their supply chain. 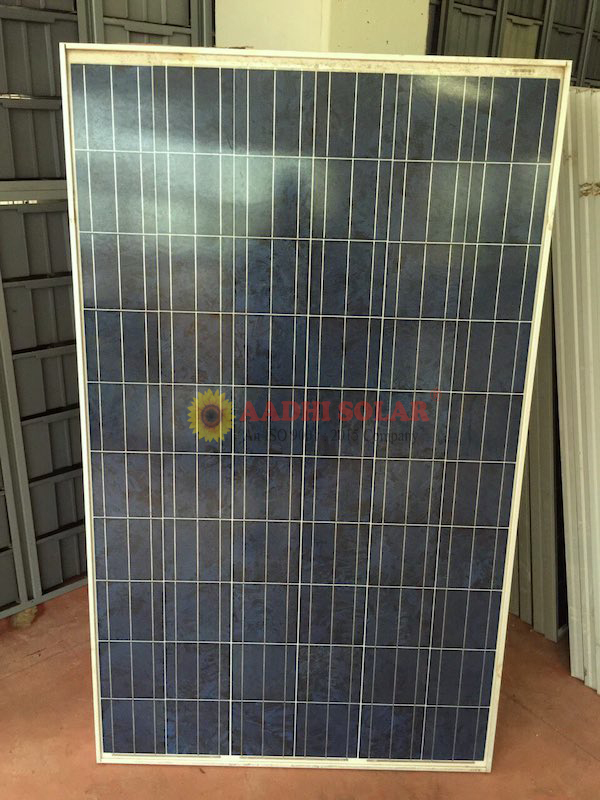 Aadhi Solar Panels come in a wide power output range to serve different purposes. 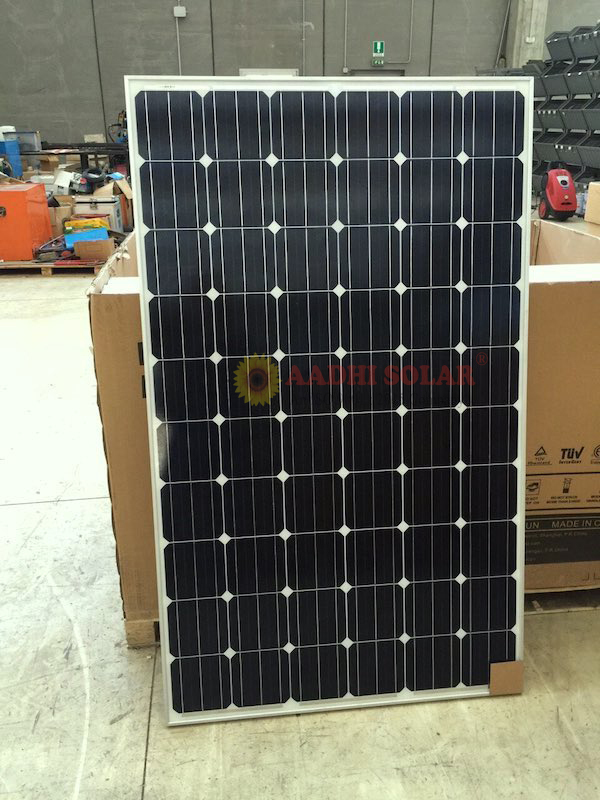 They come in a wide range from 10W – 250W. 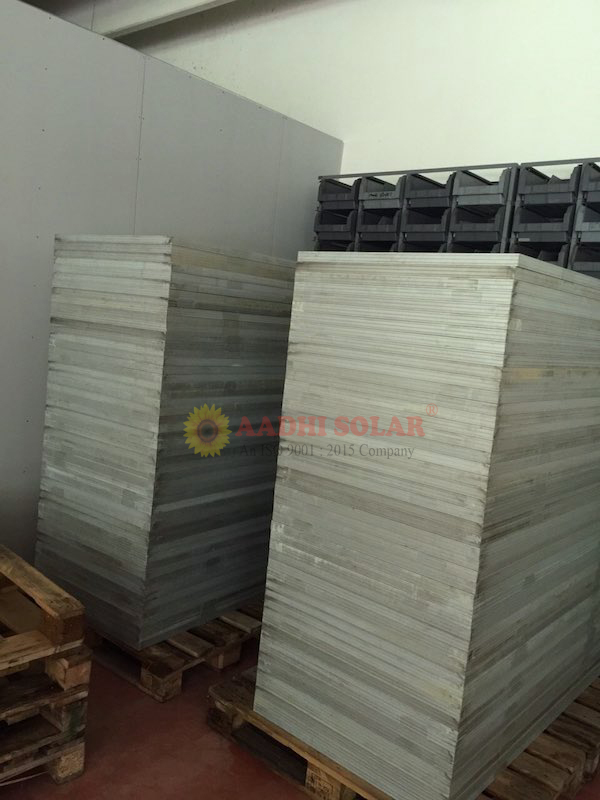 These panels come with 25 years warranty and are designed to withstand the extreme weather conditions in India. 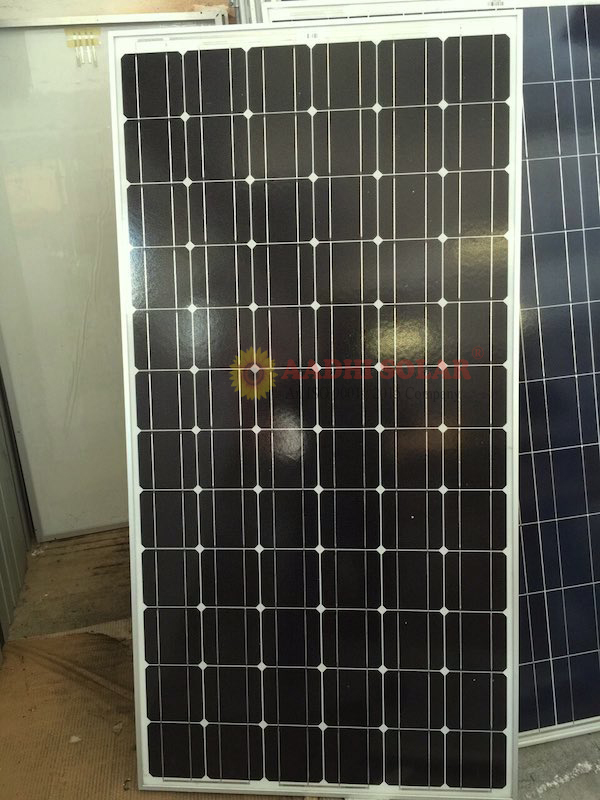 These panels are shock resistant with thick iron glass and an anodized aluminium frame. They can generate a maximum of ~16V-30V, depending upon the wattage. ii) Tough and high transmission glass with EVA encapsulation provides rigidity and better perfromance. 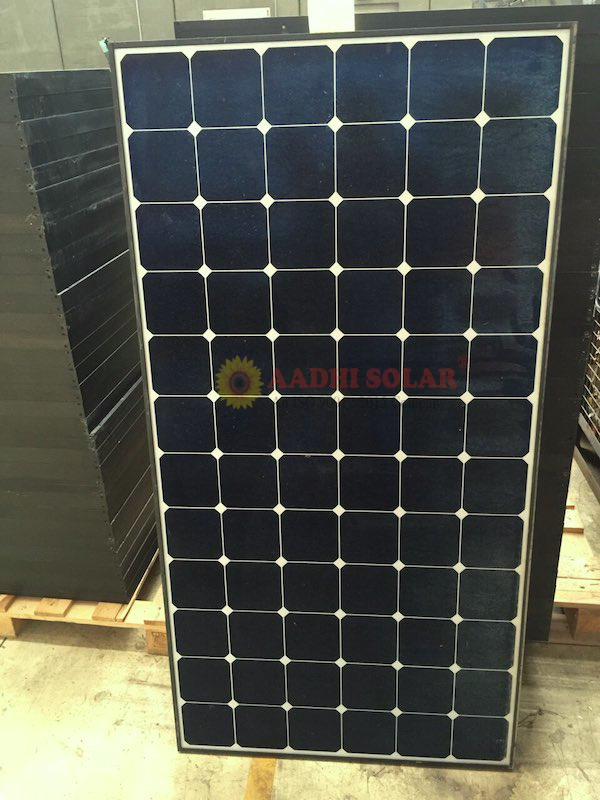 Optical low iron tempered glass used on all Aadhi solar panels that allow better absorption of sunlight and high strength polymer sheet is used to seal the end surface of the modules to protect mehchanical as well as damage from moisture. 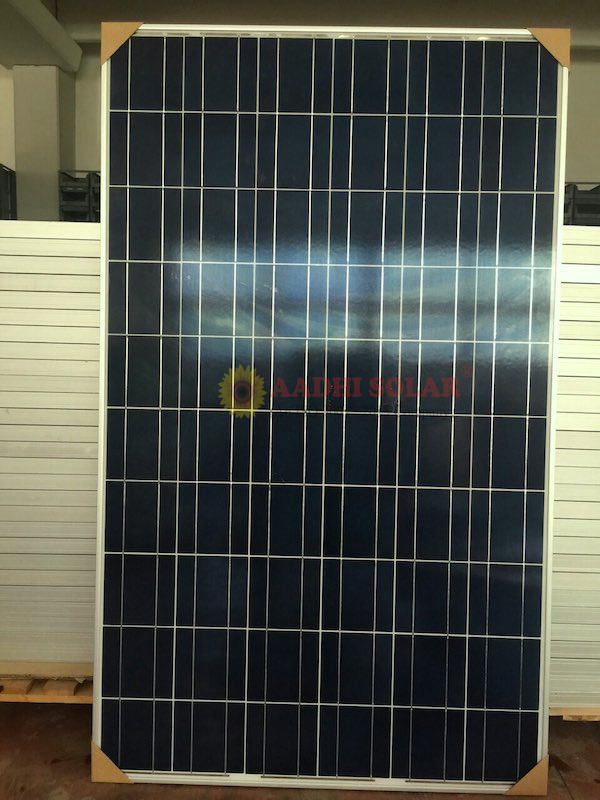 As per the company’s website, Aadhi panels have the lowest degradation rates at 1%, when compared to teh industry average of 1.5-2% per annum. 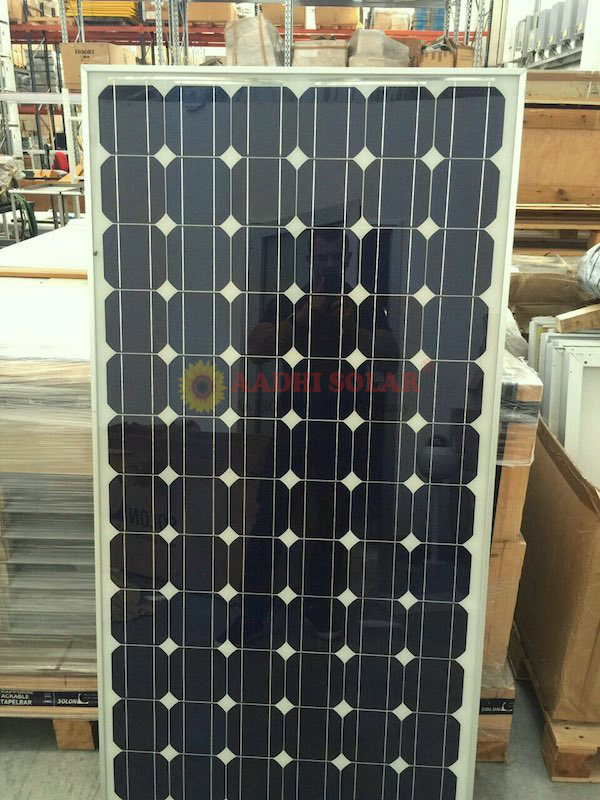 Good quality grade A solar cells are used in the making of these panels that ensure extended module life. 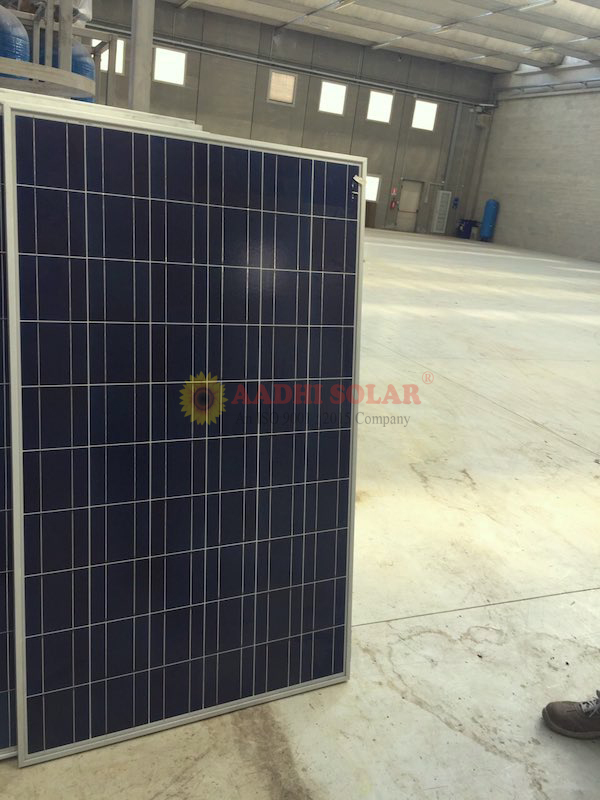 Aadhi solar panels are better suited to perform in hot climates.